Both of these teams have qualified for the Top 16 so you may not see the most competitive of matches, but this could allow for a looser and more enjoyable game. The home team are currently in third place in Group D with a 5-2 record while the away side tops the group with a 6-1 record. First of all, Brose Baskets will be delighted to have already booked their place in the Top 16, but once you have qualified, why not aim for more? 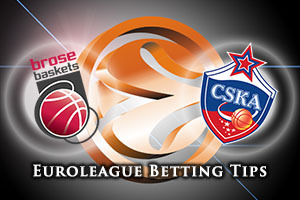 The Germans know that if they can win by 7 points, they will move on to a 6-2 record, CSKA Moscow will drop to a 6-2 record and more importantly, Brose Baskets will take the lead on the head-to head record. That should provide a big incentive for the away team in this game and with Bradley Wanamaker in excellent form so far this campaign; they could be in with a chance to grab a win that changes the complexion of the group. 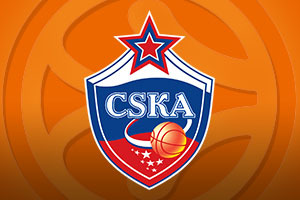 CSKA Moscow will be keen to win this game, and they know that a win, or even a minor defeat in this game will see them win the head-to-head with Brose Baskets, so you shouldn’t expect the Moscow side to down tools just yet. Aaron Jackson is all set to miss out with an injury which means that Milos Teodosic and Nando De Colo will both likely see plenty of court time. Given the great form of these two players over the course of the campaign, this may not be fantastic news for the German side, who could be in for a torrid time. The away team are favourites for this game and given that they will be determined to win the head-to-head record, take CSKA Moscow at -6 at odds of 1.90. When it comes to the Over/Under market, look to go UNDER 160.5 at odds of 1.90 in this big Group D clash on Thursday. Bet Now!